Coal is threatened by heavy rainfall and competing hydropower supply. Bloomberg reports that even with China’s peak demand season in full swing as hot weather boosts air-conditioning use, benchmark spot prices have retreated in five of the previous six weeks, whilst futures posted the biggest monthly loss in more than a year after sliding below 600 yuan (US$87.94) a metric ton. Coal has retreated after a heat wave in May and June sent prices to nearly 700 yuan and spurred the world’s largest user and producer to warn it may run short of power this summer. But now, as mine inspections end, port inventories jump and higher hydropower supply restricts coal demand, analysts are predicting further weakness. “Expectations that record coal burn at power plants would cause shortages and boost prices are going up in smoke,” said Zeng Hao, an analyst at Shanxi Fenwei Energy Information Services Co. Thermal coal futures on the Zhengzhou Commodity Exchange slumped 1% to 586.8 yuan a ton on Tuesday, taking declines in July to 9.4 percent, the most since April 2017. Spot prices at Qinhuangdao port have fallen about 5 percent this month to 646 yuan as of July 23, according to China Coal Resource. 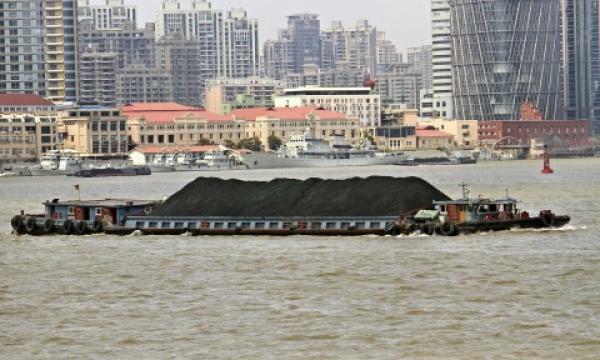 Heavy rainfall across China is contributing to coal’s losses as it lowers temperatures and adds to competing hydropower supply, according to a note from Morgan Stanley received Monday. Prices are forecast to drop 5% this year, analysts including Simon H. Y. Lee said.